As one of the more sought-after types of door on the glazing market, French Doors provide a stylish, elegant and secure door solution to the rear of any property. Designed to accommodate a huge range of styles and finishes, French Doors provide home owners with the opportunity to create a light and airy environment within any home and are perfect for the Summer months. 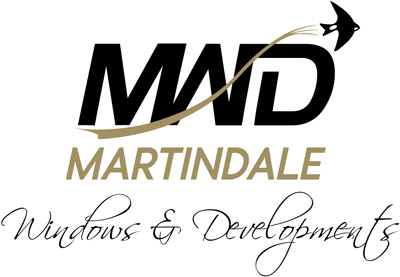 As Northampton’s leading provider of French Doors, Martindale Windows can provide you with the perfect set of rear doors for your exact requirements. With any fitting we style the frames, glazing and finish of your doors to your exact specifications, ensuring that they wonderfully compliment the interior and exterior of your house. So, whether you want a simple set of white UPVC French Doors or a more contemporary set of brown, wood effect UPVC Doors, Martindale will help you to achieve the perfect result every time.